Explore your faculty of judgment though an intuitive look at five "judges" from ancient Israel. Do you know your inner Deborah? What is she telling you? How about your Gideon nature? Do you fall to destructive behavior from time to time? Who is Jephthah and where is he lurking? Have you lost your Sampson strength? Does the wisdom of Samuel come to you? Join Rev. 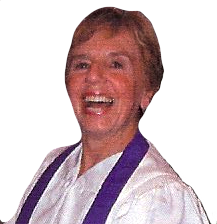 Eleanor Fleming Thursdays May 22, 29, June 5, 12, 19, and 26, 2014 from 7:00 p.m. to 8:30 p.m. for a metaphysical Bible study of the Judges of Ancient Israel. This class begins with an exploration of our spiritual faculty of judgment. The need for judges arose because conflicts continued in the Promised Land between the Israelites and the Canaanites as well as amongst the 12 tribes. A God-appointed judge would then emerge to restore the peace. We will study 4 outstanding judges, Deborah, Gideon, Jephthah, and Samson, each of whom represents a different “flavor” of judgment as that faculty pairs up with one of the other faculties. We will conclude with a study of Samuel who is the bridge between two periods of Israelite history -- Judges and Kings. Samuel is a judge, prophet, and kingmaker. Story of Deborah: “Deborah means a bee. Bees are noted for their fine sense of discrimination...The prophetess Deborah represents judgment based upon spiritual discrimination.” (Charles Fillmore) Deborah being a woman represents the intuitive faculty. Therefore, she symbolizes judgment guided and directed by the intuition; or spiritual discrimination. Canaanites--one who exists in and for material things; merchant, pirate, trafficker in materiality; inhabitants of the land of Canaan at the time that the Israelites took possession of it; the elemental life forces of the subconscious mind; sense thought, based on material and transitory things. Palm Tree--Trees symbolize the nervous system; strong states of consciousness, the energy and influence of which flow throughout our entire being; they bear fruit and their fibers used a a basic material of construction for various objects and buildings; a state of strong faith which expresses itself in the physical realm (bears fruit). Sisera--fermenting, boiling, battle array, ready for war, enraged, a pot boiling over. “The great aggressiveness, passion, inner unrest, and lack of poise and dominion that exist in the life forces of man while he is under the dominion of carnal thought...” (Charles Fillmore) The human tendency to be aggressive and domineering. Head-- “The center from which the mind expresses various thoughts and ideas.” (Charles Fillmore). in some contexts it represents the intellect. Megiddo--place of many organisms; place of troops (i.e. for predatory incursions); crowded place; rendezvous; place of great abundance; most fortunate place; root form of Armegddon; “The gathering together of the hordes of error thoughts in consciousness...to make war against the truer and higher thoughts and ideals of the individual...” (Charles Fillmore; the place of conflict in the mind between higher, spiritually directed thoughts and lower sensually directed thoughts. Gideon means cutter-off; mutilator; destroyer; tree feller; impetuous warrior; denial, our God-given ability to deny the power of negative thoughts and conditions over us. Midianites: descendants of Midian, the 4th son of Abraham whose name means rule government; judgment; subjugation; striving; contending; pleading; inner strife and contention. Angel: “A messenger of God; the projection into consciousness of a spiritual idea direct from the Fountainhead, Jehovah...The word of Truth, in which is centered the power of God to overcome all limited beliefs and conditions. (Charles Fillmore). Spiritually inspired thoughts and words; direct inspiration from God. Casting of Fleece: a product of sheep’s wool; sheep represent spiritually centered thoughts; casting the fleece means preparing the way by letting your spiritually center thoughts go before you in all that you do, i.e. continually asking for guidance (surrendering your will to God’s will) and positive visualizaion. 300: In the context of human action, the number 3 refers to the 3 basic aspects of man’s being--body, soul, and spirit. Zeros added to any number add wholeness and completion to its use, emphasizing its symbolic power. Lapping the water: Water represents the cleansing power of spirit; lapping the water means becoming one with that power. Barley loaf: Bread represents spiritual substance; barley loaf refers to Gideon’s use of spiritual substance since he was most likely a farmer of barley. Jephthah: whom Jehovah sets free; he will open; he will loosen; he will unbind; the open way to freedom; spiritual judgment used with persistence which opens the way to spiritual freedom even in the face of overwhelming odds; persistent spiritual judgment. Amonites: descendants of Ben-ami, son of Lot, and enemies of the Israelites; Ammon means a great people, a fellow countryman. “Popular opinion; also the wild, uncultivated states of consciousness such as thoughts of sensuality, sin, and ignorance have formed in the outer world. Careless disorderly thinking. Jephthah’s only daughter: all that he is in relation to the world; love in its natural expression. Ephraimites: descendants of Joseph’s second son, Ephraim, whose name means doubly fruitful, very productive; will of man in its expression in the world for the things of our world reflect our personal choices along the way; Ephraimites represent thought belonging to personal will. Gilead: Mound of witness; enduring rock, rock of time; great endurance; a high place in consciousness where one stands strong in the expression of spiritual discernment; steadfast faith. Samson: sunlike; little sun; “physical strength under spiritual discipline or consciousness of spiritual strength.” (Charles Fillmore) Strength in executing spiritual judgment. Manoah: resting quieting; restoring; giving leaving; forsaking; renewal of strength through waiting on the Lord. Foxes: Cleverness of the mind based on worldly thinking which can eat away at spiritual fruits. Delilah: poured out; exhausted; weak; pining with desire; languishing; longing; sensuality. Hair: Vitality; vitality of a mind centered on spiritual strength. Blindness: The lack of spiritual insight and a clear perspective on life. House: State of consciousness; when inhabited by Philistines, a state of consciousness ruled by transitory, deviated thinking; controlled by forces foreign to Spirit and lacking in spiritual discipline. Eli--ascent; summit; apex; exaltation; supreme; Most High; my God; the intellect under spiritual discipline (Charles Fillmore) spiritual awareness. Saul: asked for; desired; demanded; wished; “The action of will in attaining that which it desires;” Personal will. A King: The ruling aspect of man’s nature; the power of will within man. Amalakites: warlike; dweller in the vale; valley dweller; that licks up; the intense negative and adverse thoughts and emotions which are born of physical consciousness. “And the child Samuel ministered unto Jehovah before Eli. And the word of Jehovah was precious in those days; there was no frequent vision. And it came to pass at that time, when Eli was laid down in his place...and the lamp of God was not yet gone out, and Samuel was laid down to sleep, in the temple of Jehovah where the Ark of God was; that Jehovah called Samuel; and he said “Here am I.’” I Sam 3:1-4.